This past week we went from Summer, to Fall, to Winter in a matter of days, but that didn’t stop the fishing to be spectacular here at Silver Lake. In between some brutal wind and snow, the fishing here at Silver Lake was as good as you could hope with the dynamic swing in temperatures throughout the past week. 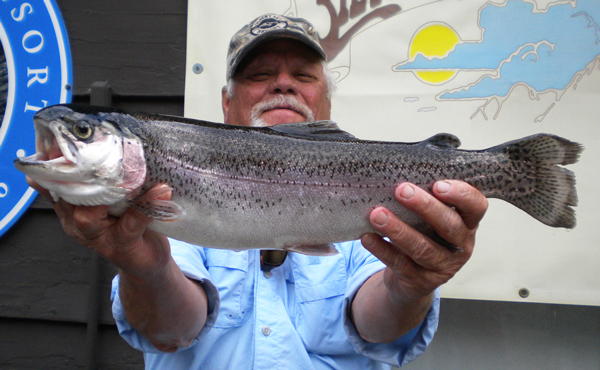 We saw more 5 plus pound Rainbows brought in than we have seen all season, mainly due to a great load of Desert Springs Giant Rainbows that came in last week. 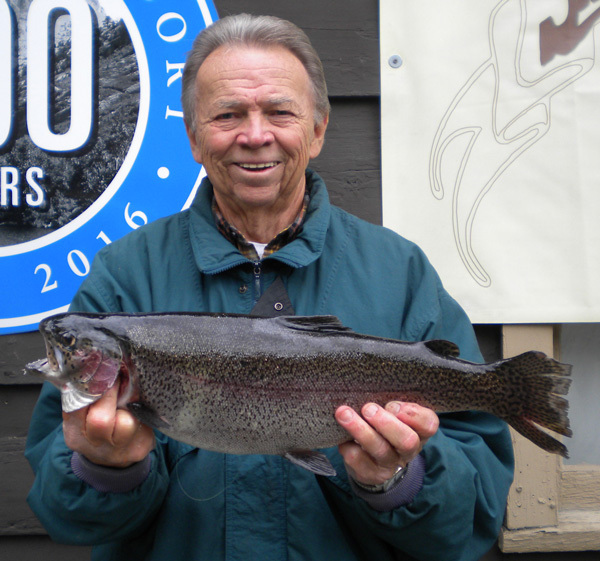 Most anglers who braved the wind and the cold were rewarded with some great catches both in Silver Lake and in Rush Creek. Anglers saw some great results this past week using some of the basic baits that are always consistent here at Silver Lake and in the entire June Lake Loop, like Night Crawlers, Power Baits with Garlic, Pinch Crawlers, Thomas Buoyant and Mice Tails. We have talked the past few weeks about increasing those leaders to about 4 to 5 feet due to weed growth at the bottom of the lake but now that we have turned cold, and its cold this week, look to shrink those leaders just a little down to about 3 to 4 feet off the bottom of the lake. Don’t over think what is working, give it all a try as the weather continues to stay cold those Rainbows will be out feeding as much as they can throughout the day. We are hoping for a few more warmer weeks as we start to wind down our season and would be happy with a little Indian Summer to polish off an incredible season here at Silver Lake Resort. You only have three weeks left to come on up and enjoy some of the beauty and good fishing of Silver Lake and come on in for your last couple meals at the Silver Lake Café as we will close for the season October 16th! !